Can you smell it? There have been dead skunks everywhere on the road these past few weeks. Why? There's an increase in skunk road kill in spring, says Fraser Shilling, co-director of the road ecology center at UC Davis. "The young are dispersing, and this is very early for this to be the case," Shilling says. Also, the rate and range of foraging both spike this time of year. "The adults have to do more foraging to feed the young," he says. 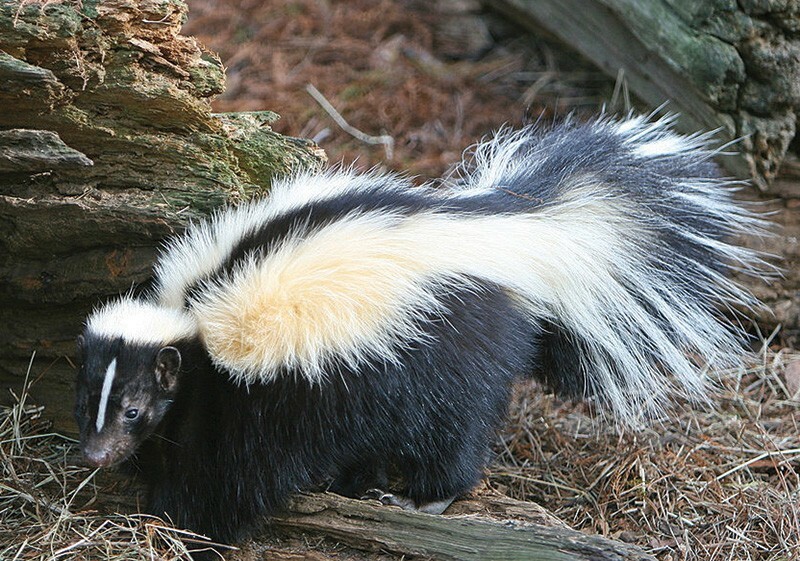 People generally care more about "charismatic mega-fauna" in our midst—deer, elk, coyotes— but if you want to save skunks, slow down and "look out into the broad cone of light" ahead of you car. And don't throw crap out the window or take your garbage cans to the curb too early. You want to discourage these creatures from hanging out roadside, where they are quite comfortable. Shilling adds that "from Bolinas to Santa Rosa, you're going through the kind of habitat where you have the occasional farm and a long legacy of predator suppression from farming people. There's less downward pressure on skunks, raccoons and possums." A family feud has left about 20 Latino farmworkers without a place to live. The Tacherra ranch in Bolinas had provided housing for undocumented workers, who lived in illegal trailers for decades. A complaint was filed in 1989, which led Marin County officials to "red-tag" the site. That kicked off a decades-long effort to bring the property into compliance with county and local codes. The county wanted Teixeira to get rid of the trailers and build housing that was up to code. According to Brian Crawford at the Marin Community Development Agency, the trailers were unsafe for those who lived there; there are no sewage or domestic water systems in place. In 2000, the ranch filed a master plan to bring the site into compliance, but the county kicked it back. "It was found to be inadequate," says Crawford. In the meantime, a family disagreement over ownership of the ranch played out in court. The property was loaded with debt and went into receivership. The court included an abatement order in its ruling to clean up the property for future sale, with nothing to protect the people who lived there. "We have been trying to find a way to keep the people on the land or find another location for them to move to, but that's been unsuccessful so far," says Crawford. "To Bibi, or not to Bibi—that is the question: / Whether 'tis nobler in the Congress to suffer / The slings and AIPACS of outrageous fortune, / Or to take alms in a Red Sea of trouble, / And by opposing Hamas as well, mend them." Three prominent Democrats, and now Joe Biden, will boycott the Benjamin Netanyahu appearance before Congress on March 5. So what are our guys up to, in light of House Speaker John Boehner's invite to the Israeli prime minister? They're up to not really wanting to answer the question. Rep. Jared Huffman's office pointed to a previous statement: Huffman would love to host Netanyahu, but not until after Israeli elections and the next phase of Iranian diplomacy. Rep. Mike Thompson is keeping his options open. "We're not sure what his schedule will be the week of March 5th," says his office via email. Intriguing. March 5 is National Tree Planting Day in Iran. See you there, maybe? Correction: An earlier version of Debriefer misspelled the name of the Marin ranch family. It is Tacherra, not Teixeira.